VILGERTS has strengthened its legal services with a launch of a new Tax practice with two senior tax experts Mrs Jūlija Sauša and Mrs Viktorija Kristholde-Lūse. The head of the tax team at VILGERTS, Jūlija Sauša, PhD Cand. (University of Latvia), has gained extensive experience leading the Tax Policy and Administration work group of the Foreign Investors Council in Latvia. Moreover, she has strengthened her tax litigation techniques being the head of the tax practice at Eversheds Sutherland. Jūlija collaborates with international tax research institutes, such as the Institute for Austrian and International Tax Law, Vienna. Jūlija's many years of experience as the general counsel of the State Revenue Service of Latvia allows her to handle tax issues promptly and efficiently. 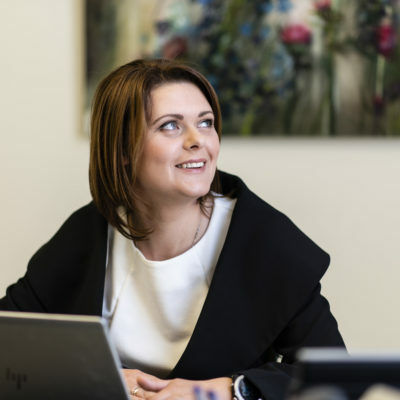 Our international tax expert, Viktorija Kristholde-Lūse, holds a master’s degree in international business and has over 12 years of experience specialising in individual and wealth taxation. Viktorija was leading the tax department at Grant Thornton Baltic and worked in the international assignment services team at PwC for more than 10 years. We are proud that the experience of our senior tax experts includes participation in working groups preparing amendments to the Latvian tax laws organized by the Ministry of Finance and the Ministry of Welfare, as well as the fact that our clients now have the opportunity to adjust their businesses under the new tax reform and current tax issues in Latvia.